The new Davao Oriental Provincial Hospital is a Capitol-run hospital in the City of Mati that provides the highest quality medical care to poor patients who are unable to afford the services of private hospitals. The Hospital is complete with medically advanced equipments and state-of-the-art facilities, and is complemented by a team of highly skilled and experienced doctors and medical professionals. The hospital started its operation on July 1, 1971 with only 25 beds in a rented building in Panamin, Barangay Matiao in Mati, Davao Oriental with Dr. J. Antonio Tagabucba as chief of the hospital. By the turn of 1976 in January 1, the hospital had acquired its present location, a five-hectare land donated by General Hans Menzi, and the capacity was increased to 75 beds. And a year later in January 1, 1977, the provincial hospital increased its bed capacity to one hundred. Today, the new provincial hospital has a total floor area of 7,086 square meters with a capacity of 200 beds from its previous 2,886 square meter floor area. It now has 26 wards complete with toilet and bath, sink, bedside cabinets and lockers, and watcher’s bed-convertible chairs. It also features a new Intensive Care Complex consisting of the Medical Intensive Care Unit, Surgical Intensive Care Unit, Pediatrics Intensive Care Unit, and Ob-Gyne Special Care Unit; and an Operating Theater Complex. The hospital also has a built-in medical oxygen line and oxygen alarm center; an ecumenical chapel and a Moslem prayer room; garden landscapes; waste water treatment facility and drainage system for rainwater; automatic fire protection system; exhaust and ventilation systems; elevators; a wide parking space; and an ATM service. The Davao Oriental Provincial Hospital was designed in accordance with the Department of Health (DOH) and international standards by Architects Eduard Villanueva, Leopoldo Sandoval and Kim Dy and associates. Architect Ed Viacrucis provided the landscaping design that incorporates the healing effects of nature. He also designed the bamboo-inspired chapel, the guardhouse and other garden structures within the hospital. 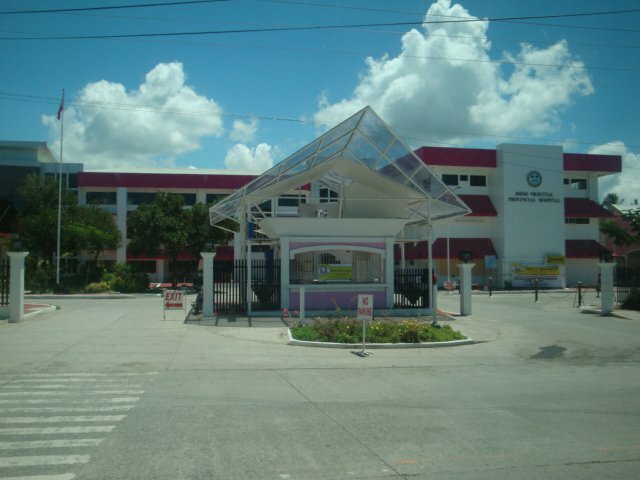 Chiqui Roque Villaroel designed the interiors while Engineer John Algallar of the provincial engineering office devised the waste water treatment facility which was praised by the DOH, the Department of Environment and Natural Resources (DENR), and the ECOGOV for its being environment-friendly and cost-efficient. The provincial hospital is located along the National Highway in Barangay Matiao, City of Mati in the province of Davao Oriental, and is easily accessible by any means of transportation. Mati is approximately 165 kilometers, or about 4 hours drive from the Davao Ecoland Bus Transport Terminal in Davao City. You may contact the Davao Oriental Provincial Hospital through their listed telephone number (087) 388 3348.
to whom should i address my application letter for volunteer nurse? plsss help. thanks.